Air101: Wamos Air receives the first of two Airbus A330-200s from CDB Aviation. 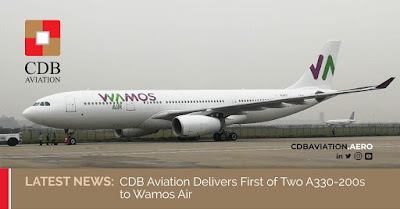 Wamos Air receives the first of two Airbus A330-200s from CDB Aviation. The Irish aircraft leasing subsidiary of China Development Bank Financial Leasing, CDB Aviation, has confirmed today the delivery of the first of two Airbus A330-200 aircraft to the Spanish airline Wamos Air. 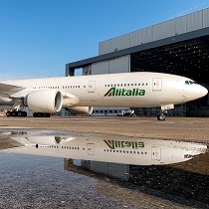 The second A330-200 aircraft is scheduled to be delivered in June 2019.